Myanmar is a beautiful country that is currently reforming its government system. As Myanmar develops, the eTekkatho Digital Library project is looking to help it on its way. This summer we want to provide classes in conversational English in order to help students and academics engage in a global community and reach their potential. 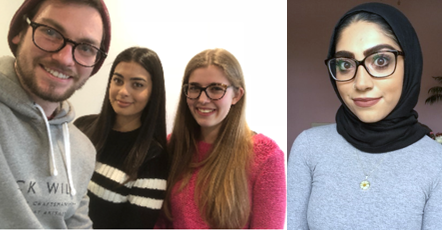 We are Katie, Joe, Farhana and Khadija a group of students at The University of Manchester, who study a variety of subjects but each have a keen interest in languages and developing intercultural communication and friendship. We are all passionate about this project and the prospect of helping individuals who can then help their community. The eTekkatho project works to help with some of the challenges and constraints experienced by higher education institutions in Myanmar, principally by providing access to learning materials and library resources, which are otherwise unavailable due to the lack of reliable internet connections. A further problem which students and academics in Myanmar face is the lack of opportunities to develop good English language skills. Learning English is vital for working at an international standard, either as a student, or in university research. Myanmar is transforming, and it is now more important than ever for students and academics to learn English, so they can fully engage in a global community to improve the higher education system in Myanmar. However, the majority of universities in Myanmar remain under-resourced and are severely disadvantaged, particularly universities outside Yangon and Mandalay. In addition, the national learning strategy and lack of opportunities to speak with native English speakers makes it very difficult for students and academics in Myanmar to improve their language skills. The eTekkatho project would like to arrange for us, four students from The University of Manchester, to volunteer to teach English at Loikaw University in Kayah State, for 4 weeks from 15th June to 13th July. As native speakers, we will offer invaluable help in improving the students’ phonetics, pronunciation and grammar and will encourage local students to practise English both inside and outside the classroom. Loikaw University has also organised 10 student volunteers to help coordinate and run the project, so we can have as big an impact as possible. If we raise more than our minimum target, the money will be used to create teaching materials we can take with us. 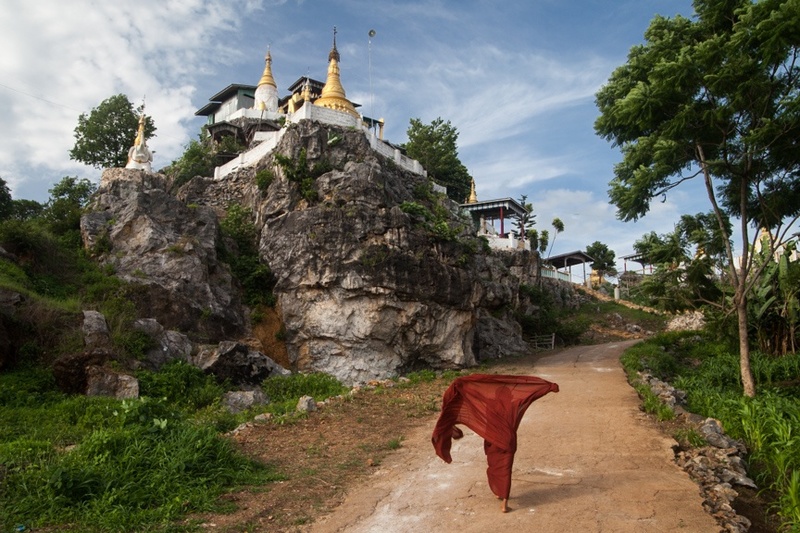 Loikaw is the capital of Kayah, one of Myanmar's smallest and least visited states. Every penny you donate helps us get closer to making a difference to the students in Loikaw. The future of Myanmar depends on them. While most children in Myanmar are given English lessons, the style of learning based on learning grammar patterns, is not useful to them when they need to communicate with other English speakers. Many people have to start learning again as adults, and few are fortunate to be able to practise with native speakers and really master the language. When we help these students with their English we are not only helping them with their language, but teaching in a dynamic way which will also help them develop the skills necessary to help develop Myanmar and its communities. This is something that you can be a part of when you support our project! This is also an amazing thing for us to be involved with, and a chance for us to gain experience working internationally, organisational skills, valuable experience of working in a team, all of which will prove beneficial for our future careers. And we'll have an adventure too! When you donate you can also request some Myanmar souvenirs - see the right hand side of the page for what we could bring you to say thank you for your support! You could even get a homemade video from our trip so you can see the difference you helped to make. The more people that know about the project the better. Please share our link so we can make a difference in Myanmar! As Myanmar is on its way to democracy and transforming its national education system, help and support from international universities is needed more than ever before. Even if you cannot donate, please help spread the word about this project by sharing on Facebook, Twitter, LinkedIn, or even word of mouth, to everyone and anyone that you think may be interested in supporting this project! Every bit of publicity helps! Please sponsor and help make this project possible. You will receive a postcard from Myanmar with a personal thank you message. Also a home made video so you can see the difference you have made! You will receive delicious local Myanmar coffee beans. Also a home made video so you can see the difference you have made! You will receive a traditional tribal scarf. Also a home made video so you can see the difference you have made! Come to meet us in Manchester! Meet with us and Yin to hear all about our trip to Myanmar - plus receive all the other rewards.